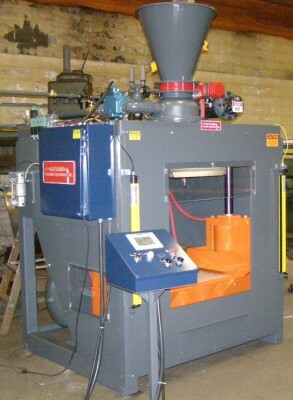 *Designed for the jobbing or short production run core rooms, this machine offers maximum flexibility for the money. *Supplied ready to run horizontally or vertically split tooling made of wood, plastic, or steel. * Fully shrouded for fumes collection and operator protection. *For use with any GFE cold box gas generators. *Available in four sizes to meet your tooling requirements. *Pnuematic cylinder operation (hydrualic operation optional).